In the Spring 2017 semester, I asked students in Baroque Art at Framingham State University to rename the Baroque. I sought to create an assignment that would function as an alternative to the traditional art history term paper, would test student comprehension of the characteristics of 17th century art, and invite them to think creatively. When teaching courses in the Renaissance and Baroque, I regularly begin with a discussion of the name used to describe the period. I include not only an explanation of what “Renaissance” or “Baroque” means and how that definition relates to the period, but encourage students to reflect upon the appropriateness of the name. For example, I ask my students to consider the impact of using a word with some negative associations (“baroque” as a term deriving from a Portuguese word for an irregular pearl.) When giving this lecture, I would often make an off-hand comment to the effect of “but no one has thought of a better term.” It occurred to me that I could set this task to my students. I then replaced a traditional term paper in my Baroque course with “Renaming the Baroque,” recognizing that this new assignment had the potential to test a student’s grasp of the visual characteristics and themes of art to the same degree as a traditional assignment. The class was a 300-level lecture course with 18 students; the majority were studio or art history majors, and had taken an introductory art history course. I presented the assignment as not only a test of the period’s styles and themes and the students’ capacity for visual analysis, but equally as an opportunity for creativity, to possibly influence how art historians think about 17th century art, and to underscore to my students the arbitrary nature of the dividing lines that scholars have imposed by creating historical periods. I assigned Hasok Chang’s article “Pluralism versus Periodization” as an associated reading. I intended this reading, which critiques the use of technological developments as a method of describing epochs in the history of science, to stimulate students’ thoughts around the scholarly challenge of dividing up history. I chose this article for its concise critique of an established periodization approach in a related discipline, but any scholarship addressing the question of periodization would work. For example, when using this assignment in a Renaissance course, I assign the first pages of Kenneth Bartlett’s A Short History of the Italian Renaissance, which deals with traditional definitions of the Renaissance and the historiographical legacy of Jacob Burkhardt. On the whole, the papers were quite solid. While the proposed names were generally more or less what I anticipated (“The Theatrical Age,” “The Era of Light and Dark,” etc.) or missed the mark (“The Neo Outré Renaissance,” “17th Century Classical and Hellenistic Revival Art”), as a class the students produced convincing writing. Only a few students selected names that fundamentally did not capture the period. I graded primarily on the degree to which the student gave convincing examples to support their name; therefore, even when students did not choose a convincing name, many still demonstrated a solid grasp of the visual characteristics and functions of the works covered in the course through their description of thematic and visual trends and in the examples selected. My grading focused on students’ demonstration of the skills of visual analysis, in identifying patterns across countries in the appearance works, and critical thinking, in justifying a new name through a convincing argument supported by relevant examples. My grading rubric was 25% the crafting of a convincing new name, 50% the demonstration of knowledge of period style, and 25% grammar and syntax. The majority of students earned an A- on their paper, a higher percentage of As than in previous courses with a traditional term paper. The rest of the grades were either Bs or lower due to writing problems or lateness. That student grades were on the whole higher than usual suggests that students felt more engaged and wrote with greater conviction and/or devoted more effort to the writing. The assignment successfully assessed how well students grasped course material. 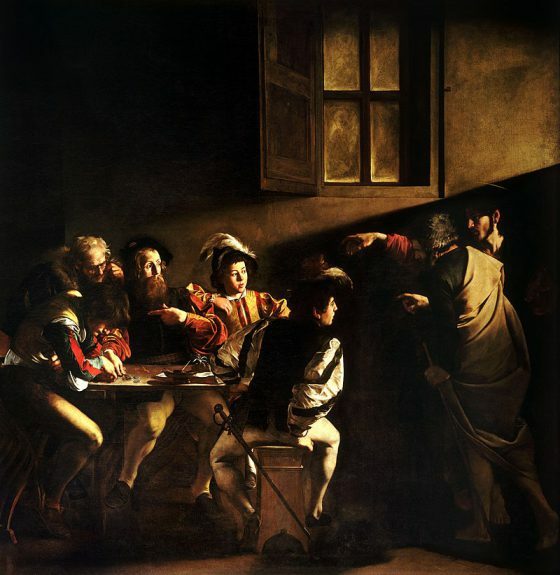 Even when the name selected was not perfect, students demonstrated their understanding of the visual characteristics of the period, such as “the use of light and dark [to] create drama” and “an unrelenting focus on naturalism,” and the intended function of many of the works, in particular the emotional impact of the Catholic Counter-Reformation, described by one student as art “meant to shock and awe its viewers.” Most students demonstrated these ideas by referencing relevant examples, identifying, for example, tenebrism in Caravaggio’s Calling of St. Matthew or the attempt to create accessible emotional reactions in works such as Bernini’s Ecstasy of St. Theresa. Francesco Borromini. 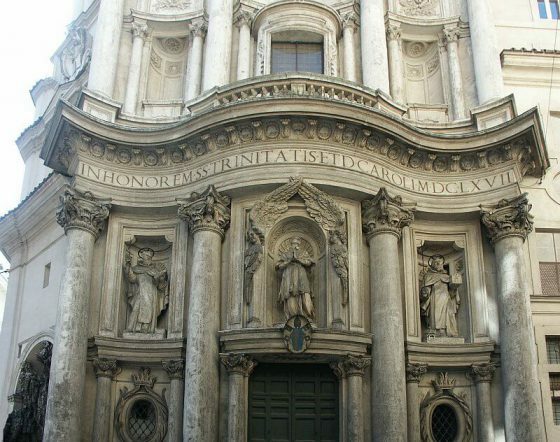 San Carlo alle Quattro Fontane (San Carlino). Consecrated 1646. Readers familiar with the Baroque will notice that student papers gravitated towards Italy, reflecting the primary problem in the papers. Although the assignment asked students to create a name suitable for works from both southern and northern Europe, many student papers not address the North. This deficiency was apparent in the lack of examples drawn from England, Flanders, and the Dutch Republic, but even more so in the names, many of which did not reflect the visual characteristics of art from these countries. Take, for example, the proposed name “Holy Visions Period”; the student focused on the Biblical inspiration of art of the period, ignoring the growing popularity of landscape and genre scenes in Holland. Some students, however, successfully identified links between the various countries covered in the syllabus. 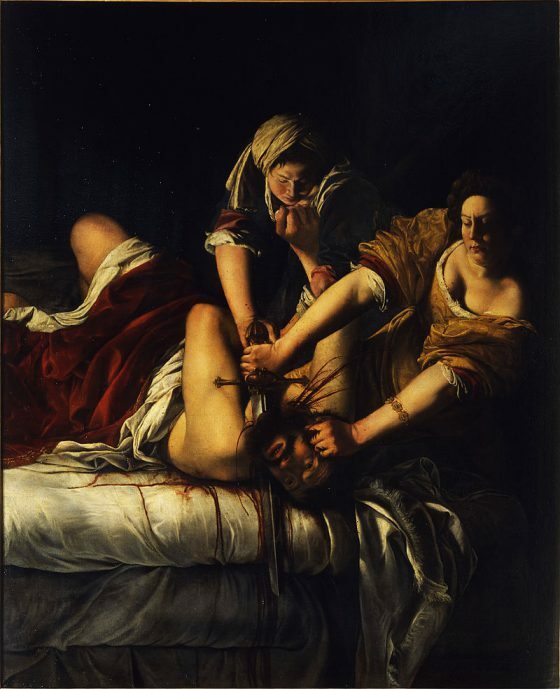 One student linked theatrical elements in the work of Velázquez and Rubens to the art and architecture of Counter-Reformation Italy in support of the proposed name “the Dramaturgic Period.” Another student, arguing for the “Age of Innovation,” pointed to “experiment[ation] with new genres in Holland.” An Italian bias was perhaps to be expected given that the paper was due approximately ¾ of the way through the course, which meant that students handed in the paper before we had completely covered the Dutch Republic. Were this paper assigned at the end of a semester, responses might be different. Student papers reflected the problematic nature of periodization and the importance of language. Many students framed their papers with introductory paragraphs addressing why “Baroque” was unsuitable, either because its original meaning suggested “an ‘irregular’ style that does not fit into anything quite right [and] could be considered the ‘bad art’ period,” or because it “does not reflect all the different styles within the Baroque period; it sums up the Italian and Spanish style but does not seem to fit the styles in England, France, and Holland.” Another argued that his name, “The Period of Great Detail,” was an improvement on “Baroque“ because it was easier to understand. Overall I was surprised by the degree to which students bought into the critical exercise underlying the assignment, and I was pleased to see students’ willingness to embrace the spirit of the assignment, challenging an established paradigm and confidently proposing their own interpretation. Student evaluations were the most surprising aspect of introducing this assignment. Students on the whole noted their enjoyment of the assignment; evaluations described it as “more interesting than “the usual painting-analysis paper most art history courses have,” and one that “challenged me in a way I haven’t before with my analysis and critical thinking.” One student remarked that it made him or her “think about the period as a whole.” No fewer than three students used the word “critical” in assessing the assignment, observing, for example, that “although the paper was a challenge for me, it helped me prove I was learning in class and made me think critically about the works.” I was thrilled at the degree to which the students identified how the assignment allowed them to demonstrate the visual analysis and critical thinking they had developed in class. That these skills were apparent to at least some of the students meant that the assignment was a good one and worth employing in future courses, and one student even suggested repeating the assignment. This “renaming” assignment is flexible enough to be used in any course. I currently use it in Baroque and Renaissance courses, and it could be adapted to an introductory survey, where students could select which period to rename. Such an assignment might be especially interesting as students would need to justify why they selected that period to rename. This assignment also works in different formats. In a current High Renaissance course, I have students do an in-class presentation rather than a written assignment, and the assignment could be adapted to additional written or in-class formats, such as a series of structured questions or a class debate. Hasok Chang, “Pluralism versus Periodization,” Isis 107, no. 4 (2016). Kenneth Bartlett, A Short History of the Italian Renaissance (Toronto: University of Toronto Press, 2013) pp. 1-7. Students were given the option to opt-out of having their papers included in future scholarly work such as a conference paper or article; none chose to opt out. Great alternative to a traditional paper! Thank you for sharing how you graded and sample student responses. As you noted, this could be used for any time period and to bring an awareness of “periodization” in art history. This could also be expanded to include a museum component in which the students also consider how a museum presents a particular style or time period.